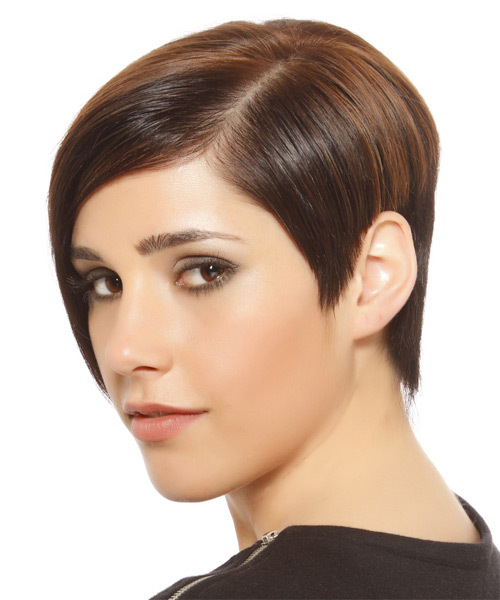 The back of this short and smooth hairstyle is tapered into the neck and sides while the top is left longer and swept over to one giving the over-all shape an asymmetric look and feel. 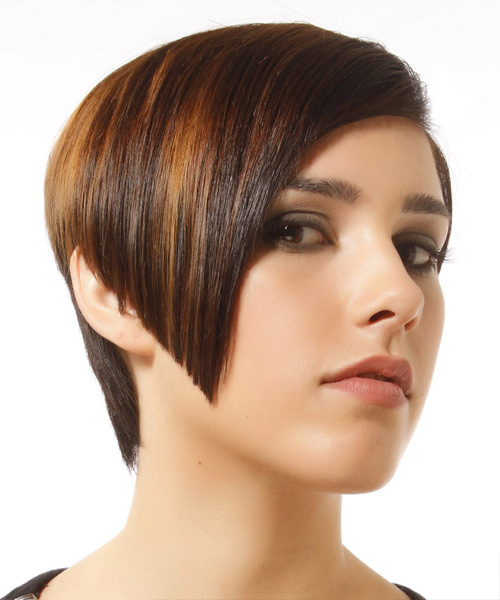 This two-toned hairdo is easy to maintain with regular trims and will need product for hold and shine. Apply moulding cream to the palms of your hands, and then starting at the top-back area, drag your hands forward, flattening your hair down as you go. 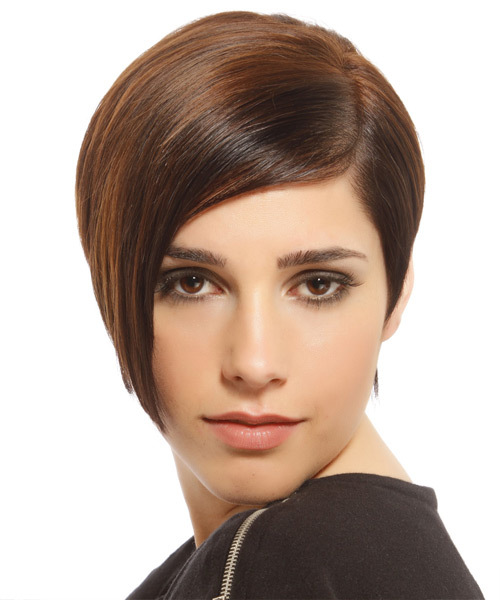 For a longer lasting style repeat this step.